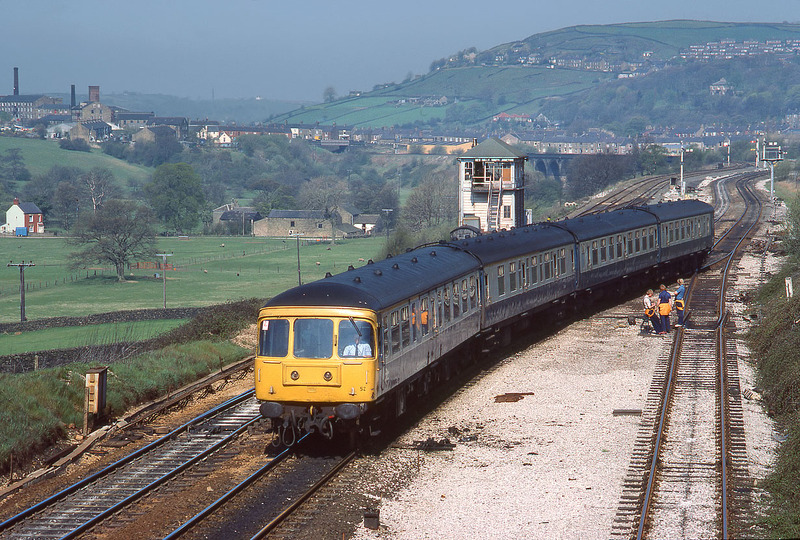 Unfortunately I have only got a few pictures of the stylish Swindon built Class 124 'Trans Pennine' units. Here we see 51952 leading the 10:10 Manchester Piccadilly to Hull service past New Mills South Junction on 27 April 1984, just a couple of weeks before the entire class was withdrawn. Although by DMU standards of the time they were a quality product, they were expensive to maintain, not only due to their non-standard nature, but also because of their unique (and expensive to repair) wrap around windscreens.